Issue: client appears to have automatic timezone detection, but it is incorrect. Expected Result: Should pick up my time zone properly. 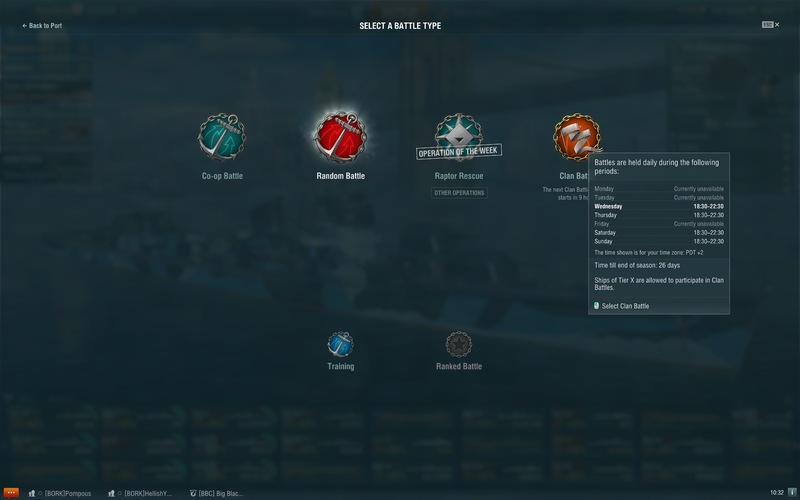 How to Replicate: Select battle type, mouse over "Clan Battles". Screenshots/Replay/Supporting Info See screenshot below. I'm in EDT (PDT+3) and my computer's time is set as such, but the client says my time zone is CDT (PDT+2).